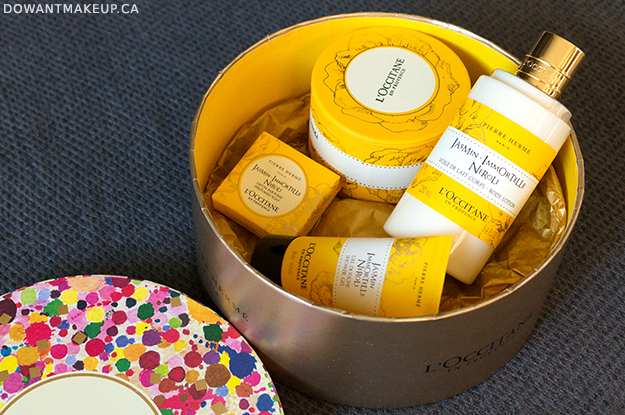 My birthday was over a month ago, and my awesome friends Sheila and MizzJ gifted me with the L'Occitane Jasmine Immortelle Neroli set. 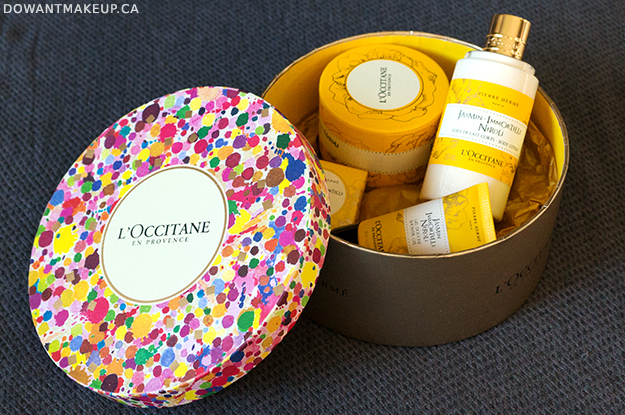 They know I love jasmine and bright, citrusy scents, so this special scent, part of a LE holiday collaboration between L'Occitane and famed pastry chef Pierre Hermé, was a perfect choice. Because this was a gift, I won't be reviewing it, but this gift set was too pretty to not photograph and share with you guys. It came in a gold hatbox-style package, with a pretty, colourful mottled lid. Opening the lid for the first time released the most gorgeous scent, because of the combined powers of the products inside (eau de toilette, body lotion, perfumed soap, shower gel). Jasmine Immortelle Neroli is bright with lemon and pink pepper top notes, and heart notes of the eponymous jasmine, immortelle, and neroli. A few months ago, I got a chance to become acquainted with the SkinCeuticals brand and its line of professional skin care products. As you can see from the photo below, I've had my hands (face?) very full testing a wide range of products that were chosen for me based on my skin type and preferences. If you aren't familiar with this brand, that's okay! 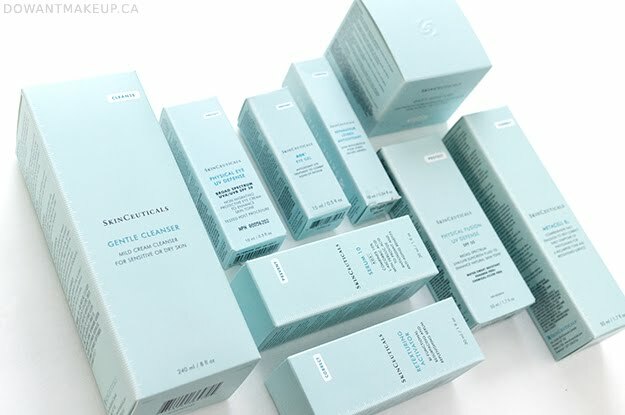 SkinCeuticals flies a little bit under the radar because it's generally carried only by dermatologists' or plastic surgeons' offices, medical spas, and other skincare professionals (and also online by certain specialized retailers). I'm familiar with SkinCeuticals due to buzz from beauty insiders about its C E Ferulic serum, an anti-aging product that uses vitamins C and E, and ferulic acid. During my diagnostic interview (which involved seeing the real condition of my skin with the super-cool Skinscope at Project Skin MD), we identified that my skin was generally healthy and well-exfoliated, with a little bit of pigmentation (dark spots). I wanted a skin care routine that focused on attaining an Arwen-like radiance, as well as a bit of hydration for drier winter months. 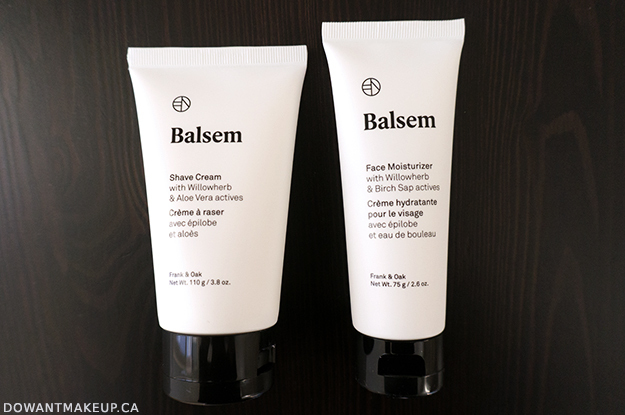 Because of the number of products and how much information I wanted to share, I've decided to split my review of the products into three easier-to-digest posts. This first post will talk about the Gentle Cleanser, Serum 10 AOX+ serum, and Retexturing Activator serum. I'm working on a very long skin care post but wanted to fit another post in this week! This one is a major throwback - I've had these photos sitting around for a long, long time, which is why they look a bit different than the usual nail photos. China Glaze Stone Cold is from the Hunger Games (Capitol Colors) collection that came out in 2012. Each of the 12 colours released represented one of the 12 districts in Panem. Even though I'm not a Hunger Games fan at all (I haven't even seen any movies after the first one), I desperately loved this collection and stalked my local Sally Beauty regularly for them. I ended up with four out of twelve, including Stone Cold, which represented District 2, masonry. 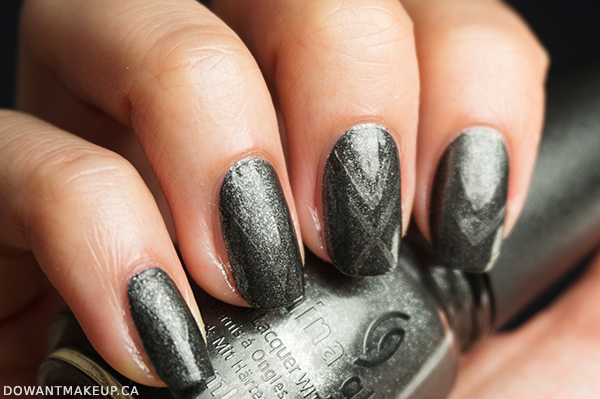 Stone Cold is a deep, dark grey that dries to super matte. The end result reminds me of asphalt, which seems like an appropriate nod to District 2's masonry, and mining. I arranged some striping tape and then applied some top coat for some simple striping tape art, but there's not enough contrast to really see the design in the glossy and matte parts. Writing this post is actually inspiring me to dig around and play with some of my older polishes! From the Capitol Colors collection, I also have Dress Me Up, Luxe and Lush, and Fast Track, which I'm tempted to go back and swatch now. My mother likes to re-tell a story about how a hairstylist, hired for a wedding for which I was on flowergirl duty, struggled with my hair. "It's impossible," he sighed exasperatedly, "her hair is too difficult!" I inherited my dad's baby-fine, straight hair, and 20 or so years after that wedding, I'm still trying to make it look anything but flat and thin. Despite that, I never looked into hair extensions of any kind, because I thought they'd be expensive, high-maintenance, and/or difficult. Fortunately, I finally got a chance to try clip-in hair extensions from Irresistible Me and all I can say is, holy crap, where have these been all my life?? Irresistible Me has been around for a few years, offering clip-in hair extensions, full lace wigs, and hair tools. The clip-in extensions range has the most options in terms of length and customizing the amount of hair (by weight) you want, with a prices varying from $49 to $339 USD. I received the Royal Remy extensions at 18" length and 140g composition ($219). There are other lines in the clip-in extension range, but Royal Remy is touted as being Irresistible Me's "deluxe" line with "extra silkiness and durability". All the clip-in extensions are made from remy hair, but Royal Remy extensions get a little extra special treatment while in production, apparently. Sometimes I love lots of detail, and sometimes I love things that are minimalist. 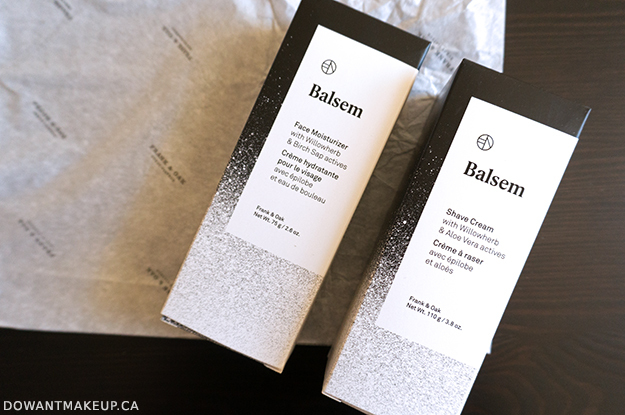 The Balsem packaging was simple but really caught my eye; the black and white contrast is so striking. I used just two polishes: Sephora Formula X White Matter and Dark Matter--but also a whole bunch of application techniques. 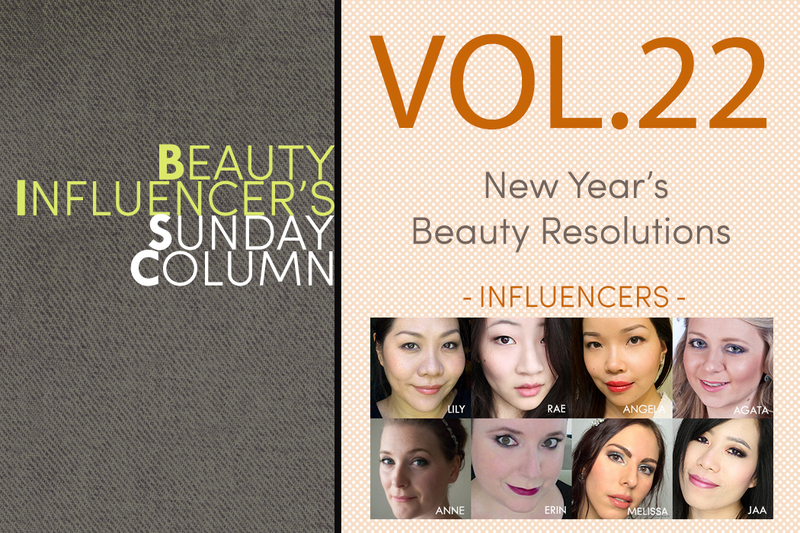 Share your new year’s beauty resolutions! My new year’s beauty resolution is simple. Enjoy quality things, and try to make a dent in some makeup. As for skincare, stick to the tried and true. For body, I need to drink more water, eat better and be consistent in my workouts. That’s it! Happy New Year everyone. Here’s to a great start and a fantastic 2016. 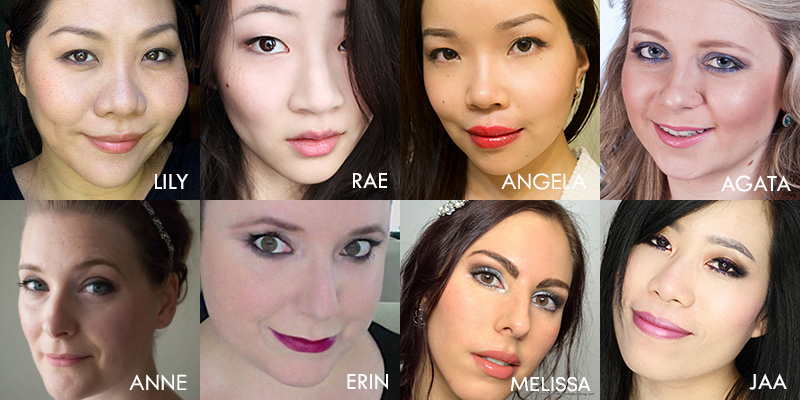 My beauty resolution for 2016 is to get back into indie beauty! I feel like I’ve really drifted from my small company roots, and I’d love to start using more offbeat brands again. Whether that’s mom & pop shops or just more unique finds, I’m hoping to try more obscure products this year. First, working on the inside: drink more water to hydrate myself from the inside out, and get more sleep at a regular schedule! 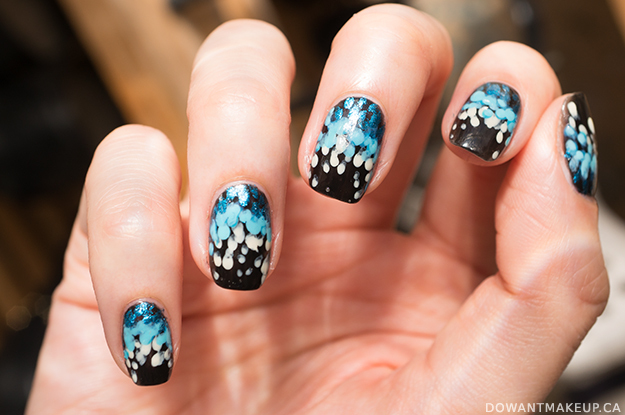 Other than that, I want to continue my Fashion Week-inspired nail art and do even more nail looks than I did last year. I also want to buy less product, and spend more time exploring and re-discovering my current stash and creating new looks with them. My beauty resolution is the same every year- to limit my makeup purchases and start using more of what I already have! This year it’s the same. I am actually proud of myself for how well I did in the second part of last year and I discovered that shopping my own makeup stash can be fun too and I have been using more products that I completely forgot about. My only new years beauty resolution is actually an old one: Use more of the stuff I already own and buy less new things! I have been doing pretty well at not buying too much throughout the last two years, but finishing a makeup product other than the usual suspects (Concealer, powder, mascara) is still a struggle. To help me with this resolution (and mentioned here for shameless self promotion) I started a You Tube channel to create more makeup looks that are out of my comfort zone! Who knows, before 2016 is gone I could have finished a green eyeshadow! 3. Only buy things I’ve sampled or am willing to or able to return, which will be incredibly hard! 4. Buy quality over quantity! 5. Do something with my huge mop of hair. It’s been two years since I’ve had a haircut or color! 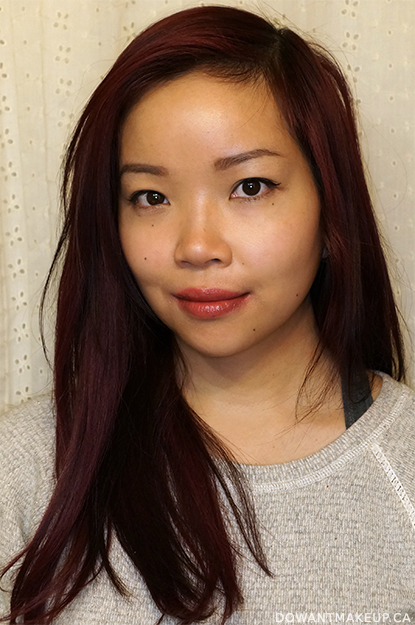 This year I’d like to use more masks – sheet masks in particular – and get more into K-beauty and Asian beauty in general. And since I’ll be spending five whole weeks in Japan soon I also plan on putting a little Japanese twist on the blog and my beauty routine. Like everyone else, I also want to limit my spending on beauty products this year! I’ve noticed my interest shifting from makeup to skincare during the past 4-5 months so I’ll probably get into more skincare products now. I have come to realize that I have so much makeup in my stash so I’ll try to use what I already have and hopefully I’ll finish some of them this year. As for new stuff, I’ll still be buying but it won’t be from every new collection that comes out. I’ll definitely be more picky this year. Just like Erin said, quality over quantity! Winter is crocodile season, the crocodile being me. I mean, I sport dry skin year-round without heavy moisturizing, but cold weather brings extra scaliness to the picture--that means ramping up my body care products with extra hydration. One brand I've introduced recently into my routine to de-crocodile is Palmer's, and my legs have been feeling much smoother since. Palmer's is best known for their Cocoa Butter Formula products; I remember using their Dark Chocolate & Peppermint Lip Butter while still in university (back before my sensitive lips could no longer tolerate mint) and loving the decadent, chocolatey scent. Years later, that scent is giving me major nostalgia through the Palmer's Cocoa Butter Formula Soothing Oil, Body Lotion, and Moisturizing Body Oil. 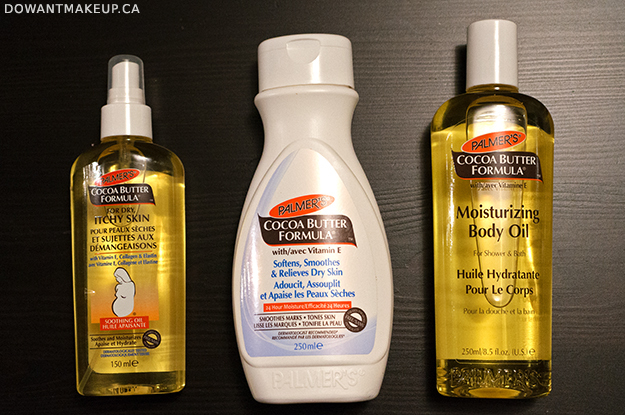 Let's get one thing out of the way first: cocoa butter is sometimes thought of as being able to relieve the appearance of stretch marks and scars, particularly in relation to pregnancy (note the pregnant-lady silhouette on the Soothing Oil bottle). I have not found any evidence that cocoa butter can prevent or relieve stretch marks (double-blind study), nor does any topical product, in fact. What cocoa butter is really great at though, is acting as an emollient to soften and soothe the skin, which is what I need. We've all got stretch marks of some kind (thanks puberty! ), so who cares. 7. NYFW Nail Art: Lela Rose Fall 2015 - fun, simple, pretty. Surprisingly one of my most popular posts on Instagram. 6. 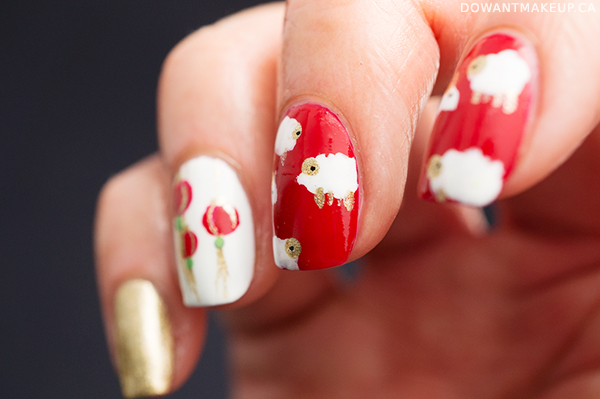 Year of the Sheep (Or Goat) - this one was just cute as hell and easy to create with the fluffy sheep and Chinese New Year-appropriate red and gold. I think it's the start of a new tradition on this blog--CNY 2016 is the year of the monkey and that will be super fun to do on nails.